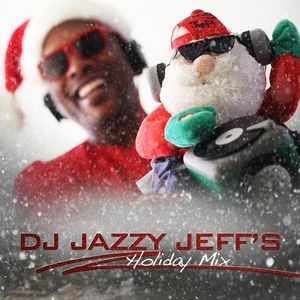 DJ Jazzy Jeff did a mix to get you and your crew into the season. Why are you not clicking play and starting your party yet??? Cider and eggnog optional. Jamming… VERY necessary! Okay. Up front, I gotta admit that I yelled and pointed at the screen, “CHEATER!” While DJ Jazzy Jeff did pick his three plates blindfolded, his selection was curated. The picks were from a COLLECTION (e.g. no chance of pulling any wack or even wacky records). Booooo! Then I fell back. Rhythm Roulette is not so much a ‘competition’ that someone can cheat and win. When someone like The Magnificient DJ Jazzy Jeff blesses with records like this… Truth is, we ALL win! Yeah. It seems only right that DJ Jazzy Jeff’s PlayList Retreats bear smooth tasty fruit like this. A taste of the full plate “Chasing Goosebumps.” So so dope! The soulful singing of Glenn Lewis over a R&B’d out track. Perfect. Well, it’s about time! Now the summer, summer, summertime can truly begin. This is the “Summertime Vol. 8” mixtape. 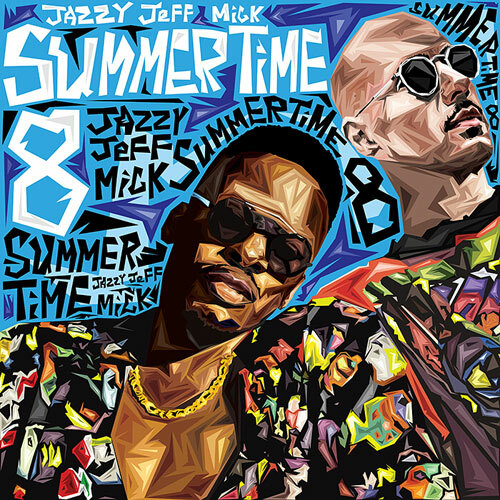 Can you believe DJ Jazzy Jeff and Mick have been putting these dope sets of mixes, blends, and exclusives out for eight years??? Salute to the duo. At first, watching this we’re going, “Really, Tall Black Guy. You feel the need to tell folks WHO The Magnificient DJ Jazzy Jeff is.” Then we think about it… Jeff has had an INCREDIBLE career that spans DECADES… appreciated by fans who were barely walking (or not even conceived) when he was with The Fresh Prince on the reg. So cool. Also cool, and very appreciated, is this clip of TBG speaking on how dope it was being at DJ Jazzy Jeff’s annual Playlist Retreat. Man, this latest Dayne Jordan jawn reached so deep the first time I watched (my count is six times as of this post). 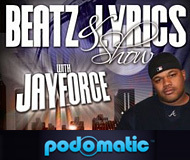 “Family Man” was produced by the incomparable DJ Jazzy Jeff, making the song a Philly brothers connection. Wanna make this sub a real Philly… put in The Fresh Prince Of Bel Air clip of Will Smith in PAIN when his dad dipped on him AGAIN! Yep, right at the heart of the video, so it cuts deep (shout to director Cristopher Schafer, the same genius that brings us ‘Vinyl Destination’)! And comedian Top Rope Zeus took his role as a dad on the ropes in the fight we call real life. Too real. I’ve gotten that ‘this is your last day letter and handshake’… twice! Get to watching; again and again. Jordan! And it counts! Nice! Shout to Tall Black Guy for this share. We posted on #PlayListRetreat a while ago; but it was pretty much a teaser. Check out the full-length video. The Playlist Retreat is an intimate gathering of progressive artists for the purpose of inspiration, motivation and collaboration. It is an organic exchange between people who believe in the greater purpose of expression through music. Visuals for “The Hustlers” off the “Memoirs Of Dayne Jordan” that Dayne Jordan has kept bubbling since it dropped this summer. 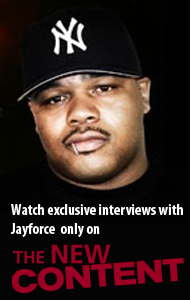 That, and being on tour with DJ Jazzy Jeff (executive producer for the entire album), keeps the man pretty damn busy. Takes work to live a dream. More than that…HUSTLE! Check out the visuals above. Single and album linked below when you’re ready. Dayne Jordan and Cristopher Schafer (for Visually Inklined) did the work for this visual for “Beautiful Day In The Neighborhood” from the “Memoirs of Dayne Jordan” LP. Incredible to suggest, with the title font and initial foreground images, that we were going to get a “Mr. Rogers’ Neighborhood” video. But nah, this is Mr. Jordan’s neighborhood… sweet is balanced by bitterness – stoops and porches, dark alleys and overgrowth. Good heartfelt storytelling. Check it out above, and link back to an earlier post for the LP below. DJ Jazzy Jeff had Dayne Jordan, DJ Ferno, a few other noteworthies and a gang of up-and-comers link up at a collaborative music creation and appreciation get together. Now this looks like a great idea; and a great time! DJ Jazzy Jeff as mentor and beatmaker for this entire “Memoirs” LP really cannot be anything but set us up to expect greatness, but doesn’t that put a lot of pressure on Dayne Jordan to deliver on the expectation? Yes. And does he deliver? Solid YES! Jordan is going hard nowadays, touring the world as Jeff’s – helping rock the parties [you’ve been seeing on here] on Vinyl Destination… and yet he still gives birth to this full-length banger… AND check out the words of praise from Jeff. ‘Nuff said. Well one more thing… you get the whole sha-banga-bang for the FREE.99… stream AND download. Go. Go now! You’re welcome. Dayne Jordan just dropped his new single “The Hustlers” (produced by DJ Jazzy Jeff); freshening up the buzz for his “In Progress” EP (which we posted about earlier on here), as well as for his forthcoming LP. Deepness about Jordan’s purpose in life, friends who didn’t make it, and moving on. This is the second official release off of the “Memoirs of Dayne Jordan” album due July 21, 2015! Visuals for Dayne Jordan’s single “In Progress…” (produced by DJ Jazzy Jeff) – which we posted on recently here. Timeline in the life of Jordan perfectly conveyed in this video beautifully. You will feel it. Watch to the end for the emcee to go full circle with the musical part of the story. That “Memoirs of Dayne Jordan” (due out July 21, 2015) ought to be really good.